I set myself quite a challenge with this Venice study. 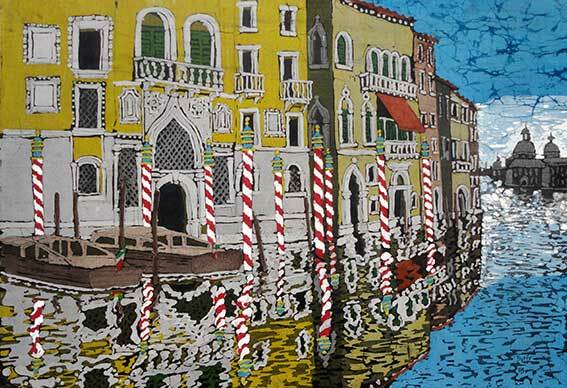 The rich Palazzi on the Grand Canal are by their nature beautifully complicated with elaborate decoration and the striped mooring poles in the foreground just added to the intricacy of the reflections! This piece seriously tested my technique capturing the glassy reflections in the moving water of the Grand Canal.